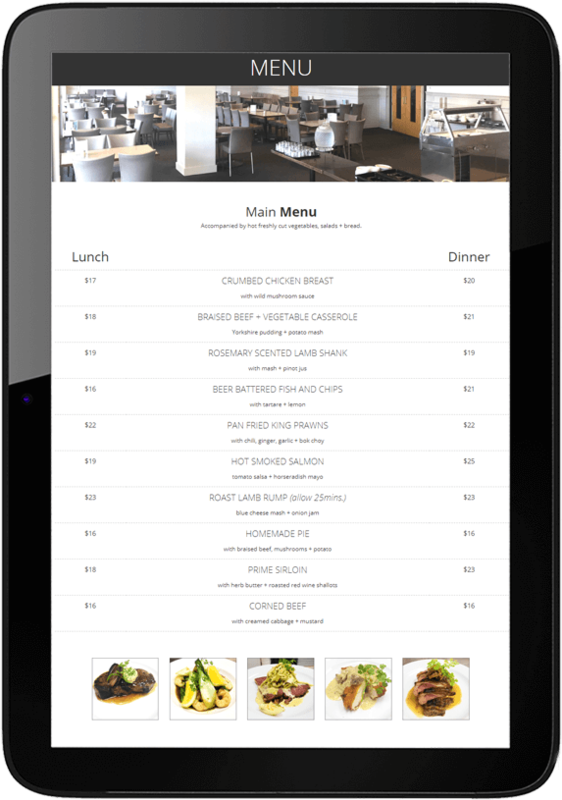 When Cook and Butler took over the kitchen at The Freyberg Restaurant they worked with us to create an online profile for the restaurant as little existed. Nick, from Cook and Butler works with us on the Cook and Butler online marketing so he knew we could deliver. The Freyberg Restaurant did not have their own website. The only place you could find them online was a page on the New Lynn RSA website. 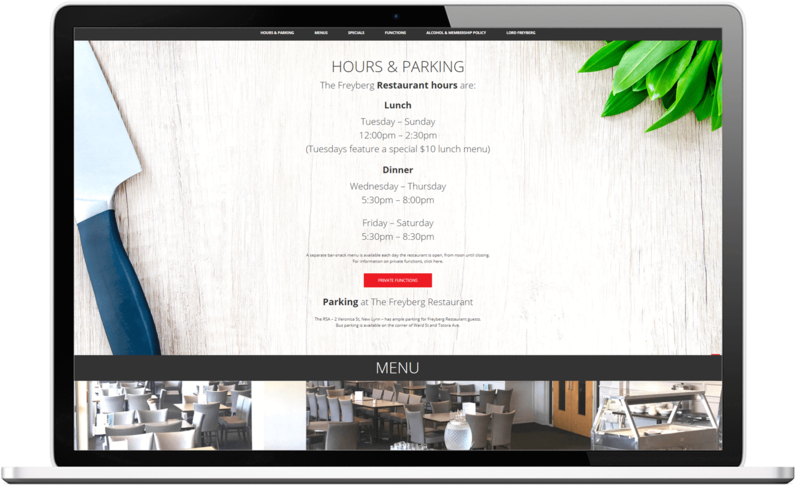 Nick gave us free rein to create a professional website that worked with the RSA colour scheme but portrayed a unique identity for the restaurant with a full menu, and also promoted the function venue. The client was very happy with the clean, direct layout of the new site and the subtle links to the RSA. To give the existing restaurant a lift, we designed a range of marketing collateral, including the food menu. 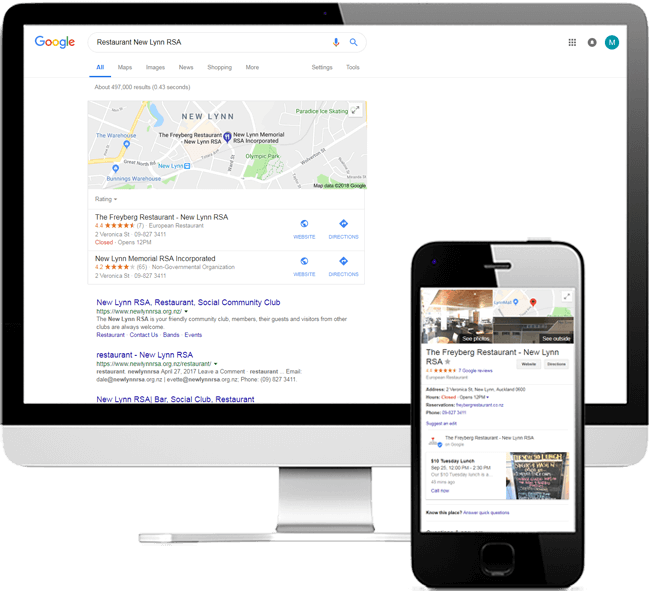 Creating a consistent experience across their marketing has helped increase sales. We even created all the content for the website so Nick could focus on the restaurant and know it was being sorted. 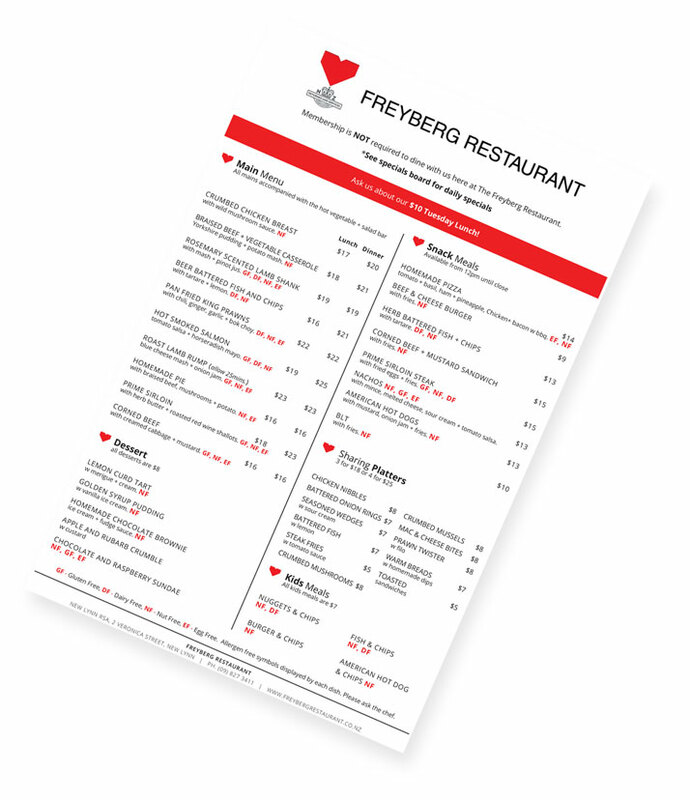 Getting The Freyberg Restaurant on the map was the first challenge. Then we needed to communicate that it was open to the public, and that anyone could come and enjoy dinner and a drink. Nick is very happy with the results we are achieving for him.